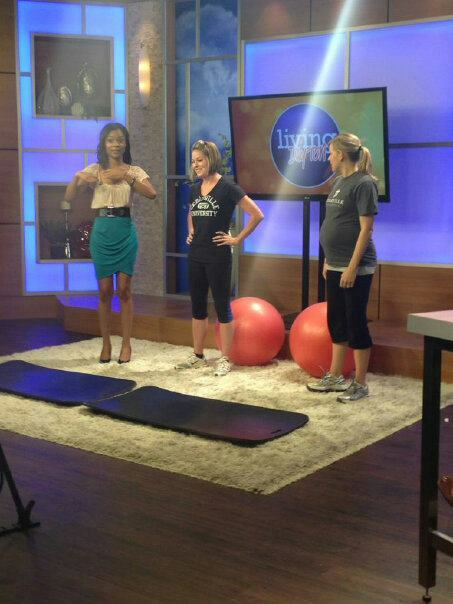 I had the privilege of demonstrating some fit pregnancy exercises on TV this week! I had the privilege of appearing on the Living Dayton TV program this week. It was so much fun, and I am thrilled that I got to share some practical fit pregnancy tips with thousands of viewers in the Dayton, Ohio area. The first time I met the Living Dayton host was when I walked on the set live. I was not sure what questions she would ask me, but I thought she asked great questions, and luckily they weren’t too hard. I hope they ask me to appear again so I can put their hosts through some workouts on set. Watch the video clip and let me know what you think! Congrats on ur tv appearance!!! Great video! Spalove! Thanks Jenna! It was so much fun!! You are awesome! Way to serve our community and continue to GROW!! !